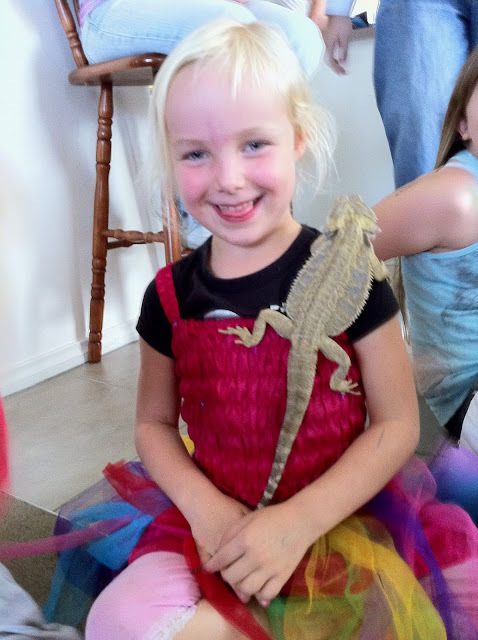 Stevie went to a reptile party last week and didn't she love it, well we all went. 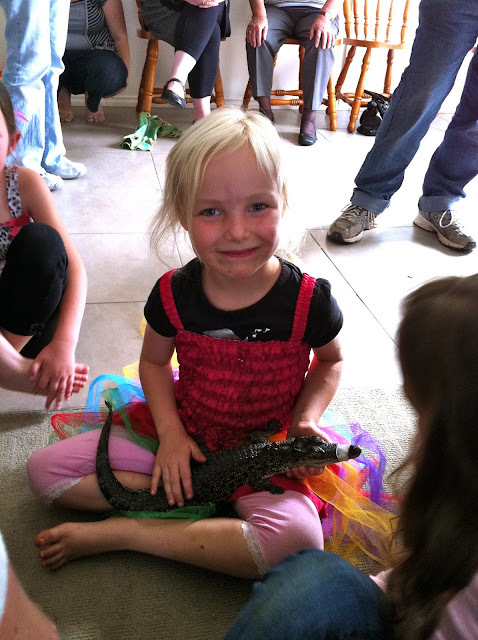 It did go for a long time and most the kids were running off by the time the crocs came out and the adults were left to pat and hold everything, which doesn't me. Jimmy LOVED it! He kept putting his hands out wanting to hold everything. 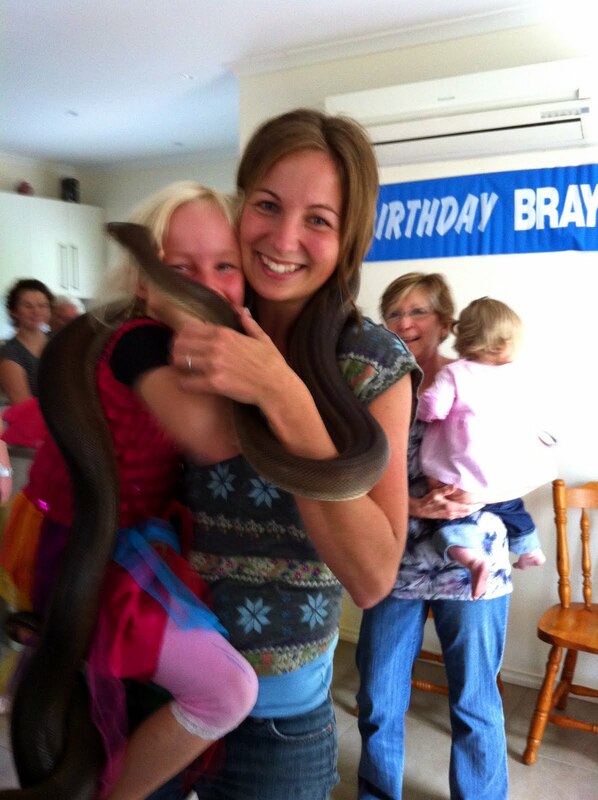 The biggest snake, the python which you can see here with Stevie and I kept kissing Stevie's cheek and tickling her, she was great about it.